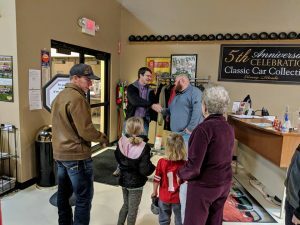 On February 16, 2019, Classic Car Collection loaded up our 1939 Cadillac Convertible to display during the Tri-City Street Rods & Auto Exhibition. The Saturday and Sunday exhibition sported over 100 vehicles, and our own Cadillac won a “Best in Class” trophy! Introducing our new General Manager! 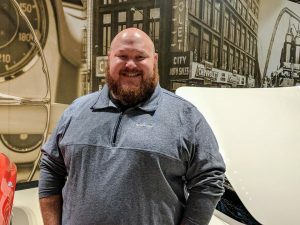 Joshua Young is a University of Nebraska at Kearney alumnus, finishing his undergrad in Recreation Management in 2002 and his Masters of Business Administration in 2017. 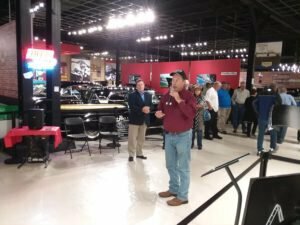 His love of classic cars, community relationships and event planning will come in handy as he takes on the role of General Manager at the Classic Car Collection. Joshua currently lives in Kearney with his wife Tricia and their four kids. Welcome to the CCC! 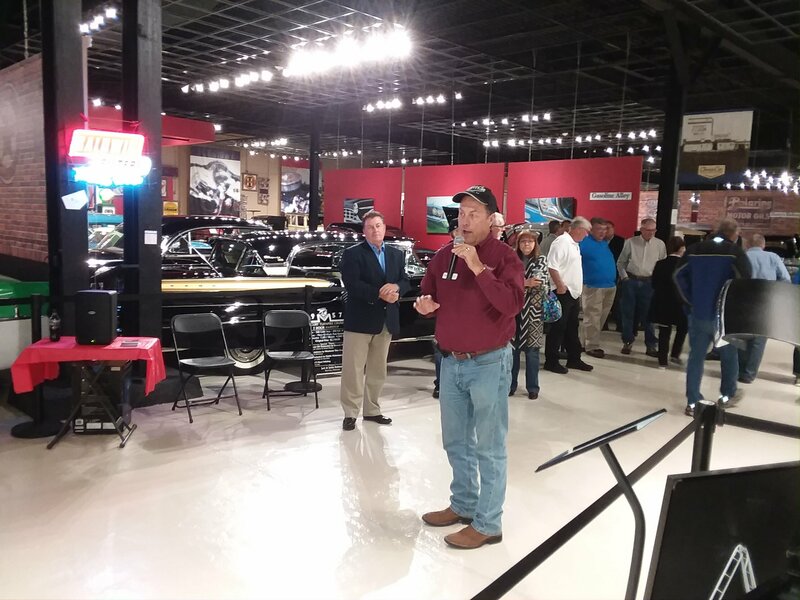 On Tuesday, Feb. 27, Classic Car Collection hosted an appreciation dinner for all of our wonderful volunteers. Keeping the Collection going would not be possible without all of you, and we deeply appreciate everything that you do out here. Whether you are a weekend volunteer, come out nearly every day of the week, or you’re just around for special events, you deserve a huge pat on the back for everything that you do. 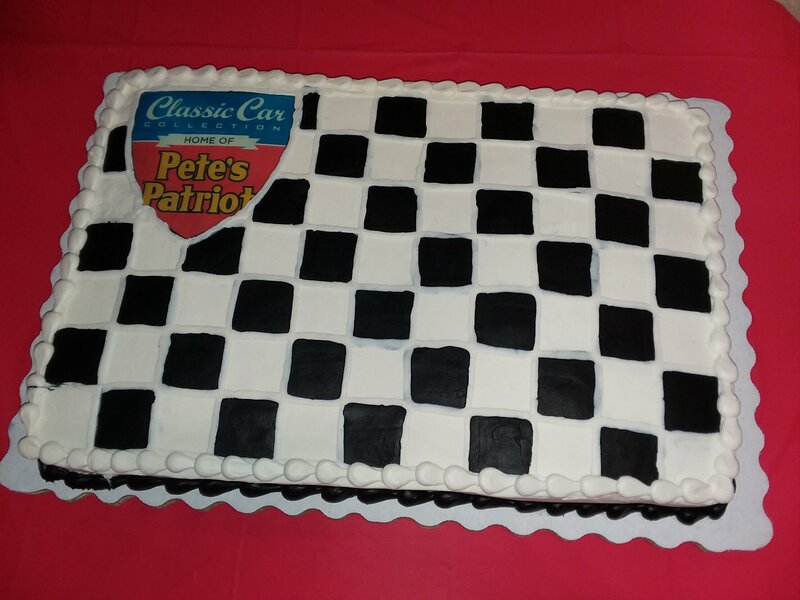 Last Friday, the original Pete’s Patriot racing crew stopped by the Classic Car Collection to celebrate with us, as this car has become a hallmark of our collection. A homecoming party was held from 6pm-9pm on this rainy, overcast evening, but the company was far from gloomy! Complete with cake and fantastic companionship, this event offered an excellent cruise through the past with members of the original racing team from Hastings and Kearney.